Most companies today have access to reams of data: marketing, supply chain, finance, as well as critical data about their workforce. Yet research shows that leaders at these companies lack the confidence to effectively integrate and use this data to compete more effectively in the marketplace. While executives know the results they need to achieve, they often fail to analyze the impact of their decisions on the firm, its processes, and its people. 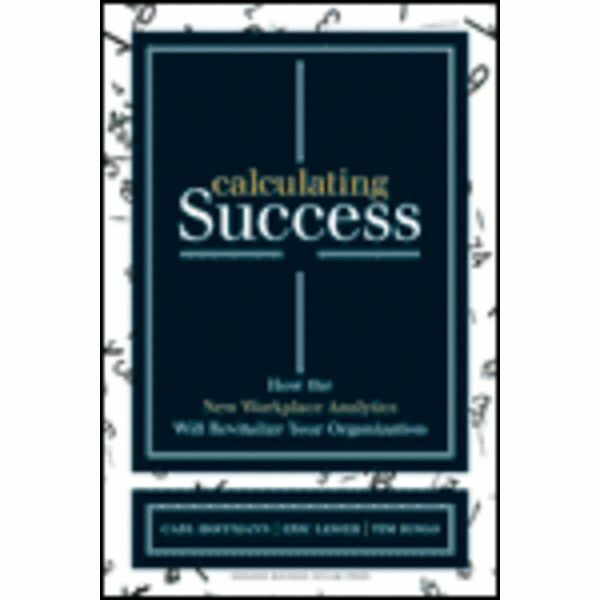 Enter Calculating Success, written by a trio of experts who have spent decades working with companies to more effectively apply human capital data to improve organizational outcomes. 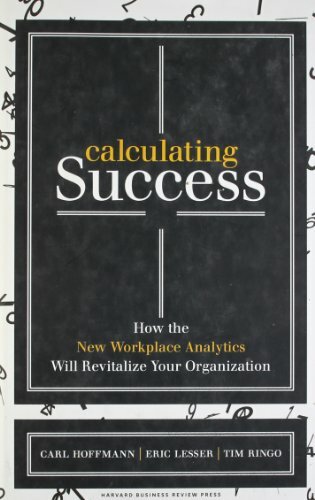 Calculating Success shows readers how they can take an analytical approach to both anticipate and address the changes required by a company's competitive environment, and drive superior performance. Using an innovative six-step framework and introducing new tools, the authors show executives how to make smarter strategic decisions by evaluating the data at their fingertips. The framework will help leaders: (1) Analyze the work that needs to be done and know how to structure it, (2) Provide the right types of people to do it, (3) Motivate them to engage in that work, and (4) Explore innovative ways to get the work done. Full of detailed examples and case studies, Calculating Success will help you rethink the relationship of talent to business success. The result? A more motivated and cost-efficient workforce and a sustainable, systematic approach to acquiring talent and innovating how work gets done.